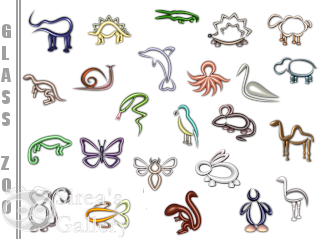 The collection includes 30 original Glass figures of animals. Icons were published in 3 icon sets, all sets you find on my website in icon section or you can download complete collection. Download complete Glass Zoo Colletion on adress www.sireasgallery.com/collections.